MMD president Nevers Mumba has condemned President Michael Sata for ordering soldiers to attack Barotseland activists in Western Province. And the MMD leader has accused Sata of declaring a civil war. Mumba said his party is alarmed that Sata can order soldiers to go and kill his own people. He said that lives will be lost and that Sata will be to blame for any life that will be lost. Mumba was quoted by Radio Phoenix at 6: 45 news on Saturday, 01 December 2012. Mumba maintained that Sata is to blame for the volatile situation in Western province. 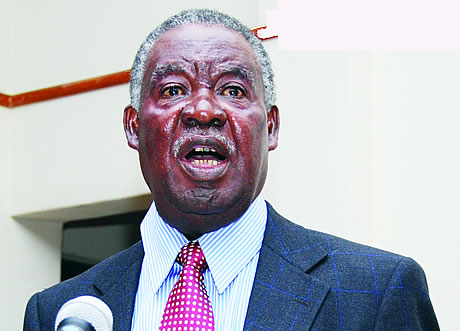 He said Sata promised the people of Barotseland that he will restore the Bartoseland agreement but that he has never gone back to the area to make good his promise or explain anything. He said that the MMD is alarmed that now that the situation has deteriorated, Sata can send soldiers to kill his own people. Mumba wondered what kind of advisors Sata has. He said Sata’s ministers and other advisors are not doing a good job. Speaking at the SADC region Defence Command graduation ceremony at Lusaka’s Mulungushi International Conference Center on Friday November 30, 2012, President Sata instructed Army commander Lt. General Erick Chimense to ferry troops to Western Province and sort out a group called Barotse Liberation Army (BLA). “In Lukulu (Western Province) people have formed a group called Barotse Liberation Army, they are recruiting people. As of today, I am aware that they have recruited 276 people. They are recruiting former army officers, police officers and former poachers they want to rise against us and we have to be prepared. And you the Army Commander I have told you before that I need troop career planes because how can I transport troops to Lukuku?” he wondered. The President said once the government soldiers arrive in Lukulu, they should not hesitate but open fire at the activists.